Which Blue Water Navy ships were exposed to Agent Orange? During the Vietnam War, sailors in the Blue Water Navy were service members who never stepped foot on Vietnamese soil. However, these sailors were on ships that sailed in the country's 12-mile territorial waters, and also docked in Vietnam. Through these actions, they were exposed to the deadly toxin, Agent Orange. This tactical defoliant was used by the U.S. military to destroy dense vegetation, plants, and tree leaves that the Viet Cong and Vietnamese troops used for cover. Because the Blue Water Navy sailors never had “boots on the ground,” the United States Department of Veterans Affairs (VA) later denied them disability benefits for Agent Orange-associated diseases. In early 2019, a federal court ruling in the case Procopio v. Wilkie gave over 90,000 Blue Water Navy vets “presumption of service-connection” for medical conditions linked to Agent Orange. If you're a Blue Water Navy vet and have a disease on the list linked to Agent Orange exposure, you may be eligible for VA benefits if you served on a ship or boat included in the Inshore Fire Support Division 93 or the Mobile Riverine Force. Be sure to check the list of the boats and ships exposed to Agent Orange to see if you might be eligible for VA benefits. It’s possible that even if your ship isn’t listed, you may still qualify for disability. Military personnel who served on ships that sailed in deep-water harbors and bays— including those at Ganh Rai Bay, Ranh Bay Harbor, Qui Nhon Bay Harbor, and Da Nang Harbor—aren't included in the list of vessels eligible for VA benefits. Because of their open access to the South China Sea and capability for deep-water anchoring, these bays and harbors are considered “offshore waters” of Vietnam. If you served in the Blue Water Navy and believe your disease is linked to Agent Orange exposure, contact Cuddigan Law. 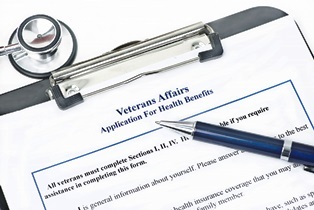 You may be eligible for VA benefits, and we can help determine if your service vessel meets the requirements for disability. Call Cuddigan Law to get help with your VA disability application today. Let our experienced lawyers go to work for you. Contact us to speak with an intake specialist for free. ?How is my service-connected PTSD linked to panic attacks?